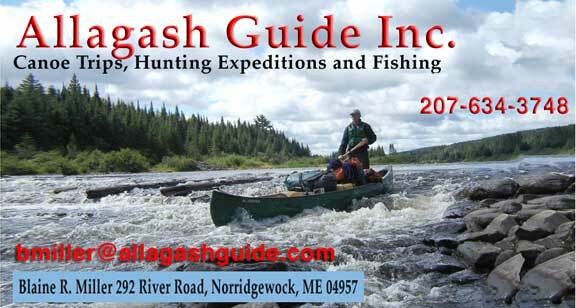 St. John River – Allagash Guide Inc. The St. John River is one of Maine’s largest and most famous free flowing canoeing rivers. Our trip begins at Baker Lake and will finish at Dicky Bridge or St. Francis. That is about 120 miles to the town through beautiful wilderness near the Canadian border. A Great river for both beginners and intermediate canoeists, as the river starts easy and your skills develop as the river becomes more challenging. A very remote river with great beauty and history. A river everyone should enjoy. All of St. John’s tributaries and rapids provide excellent fly fishing opportunities for native Brook Trout. In recent years, the St. John has become known for it’s excellent Muskie fishing. Muskie’s strike hard, run fast, and are very aerobatic, putting up a fantastic fight. Book your Maine Canoeing Adventure Today! !